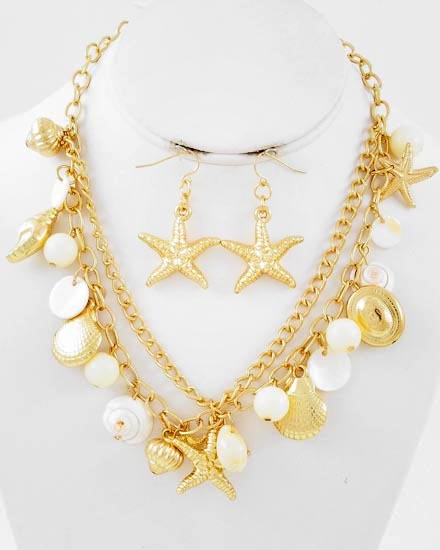 Beautiful gold plated necklace features starfish and sea life charms. Matching starfish earrings are included. Necklace length is 17 inches plus extension. Starfish earrings are 1 and 3-4 inches long.